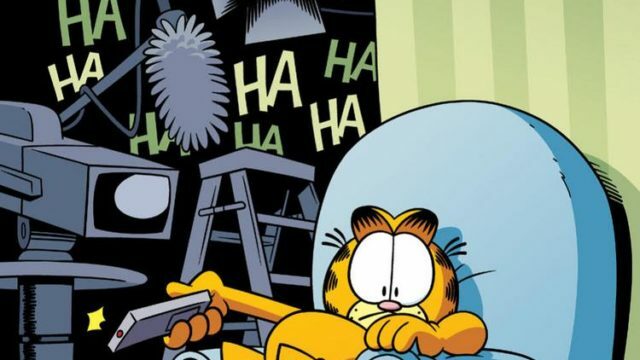 Preview: GARFIELD – TV OR NOT TV? Regular Show #35 Imprint: KaBOOM! Writers: Ulises Farinas and Erick Freitas Artist: Laura Howell, Lisa Moore As the heroism competition between Mordecai and Rigby rages, their friends become more and more irritated by their antics. Regular Show #34 Imprint: KaBOOM! Writers: Ulises Farinas & Erick Freitas Artist: Laura Howell New story arc, featuring guest writers Ulises Farinas and Erick Freitas from Judge Dredd! Rigby and Mordecai begin a contest to see who can become more heroic.